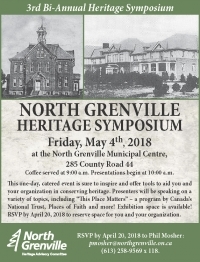 On Friday, May 4, the Municipality of North Grenville will host its 3rd Heritage Symposium. 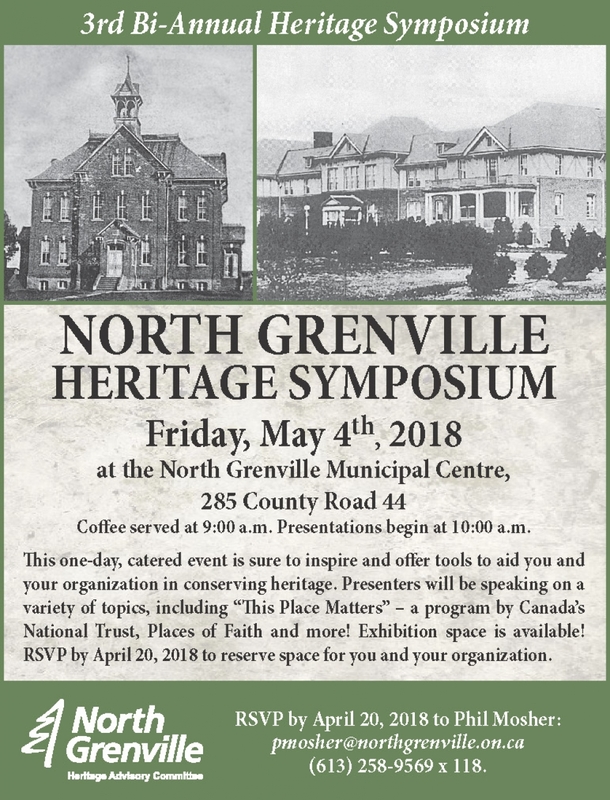 This one-day event will feature speakers from Canada’s National Trust, the Ontario Heritage Trust and the City of Kingston as well as local entrepreneurs from the Municipality of North Grenville. New this year: registration for this one-day event is available via EventBrite. The cost of registration is $20 for individual admission and includes lunch as well as coffee and tea in the morning. The cost for registering a booth for individuals or corporations who wish to display products or information is $50.